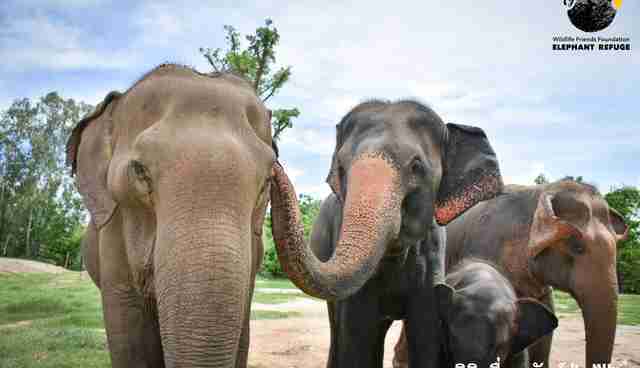 An Asian elephant named Apple, and also known as Pun, spent most of her life giving rides to tourists. When she became a mother, it looked like her baby daughter was going to be forced to suffer the same fate. "Suffer" because elephants, before they're dressed up and giving rides, go through an ordeal meant to crush their wild spirits so that tourists can ride on their backs: It's even called the "training crush." While it's unclear exactly how many elephants endure this torment each year, it's believed that a major threat to endangered Asian elephants is the illegal capture and "training" of young elephants. But some people were determined not to let that happen to Apple's baby. 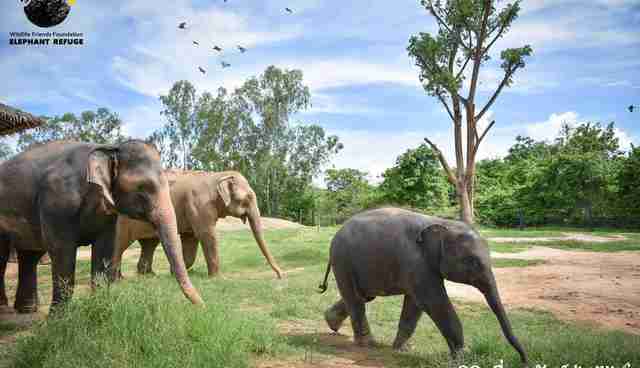 "We were informed by an elephant camp that mother and baby would soon be separated from each other as the baby was 'for sale,'" Wildlife Friends Foundation Thailand (WFFT) explains. Apple's baby was only 8 months old at the time. 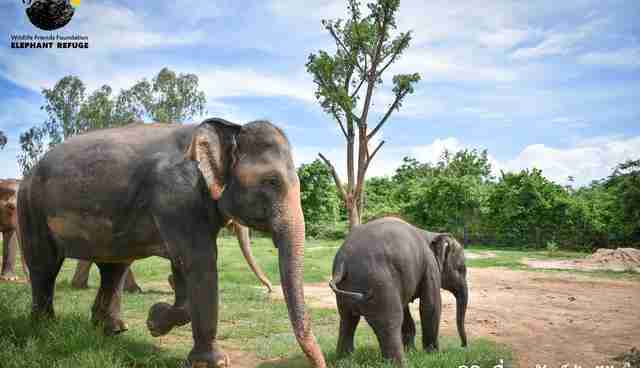 Luckily, a very generous donation was made to WFFT so that rescuers could move both mother and daughter to the WFFT Elephant Refuge near Cha Am, Thailand. The little family arrived in July 2015. Rescuers named the baby elephant Pin. "Little Pin will now never know the life of a working elephant, and never be separated from her mother," WFFT wrote. Apple and Pin, who have formed a tight-knit herd with the other rescued elephants at the refuge, are never more than a few yards apart. Apple and Pin join La Ong Dao and Kaew Petch, two elephants in their 50s who were also rescued from trekking. They also both toiled in the exhausting logging industry. But all of that is behind this little herd of lucky elephants. And that's truly a beautiful thing. 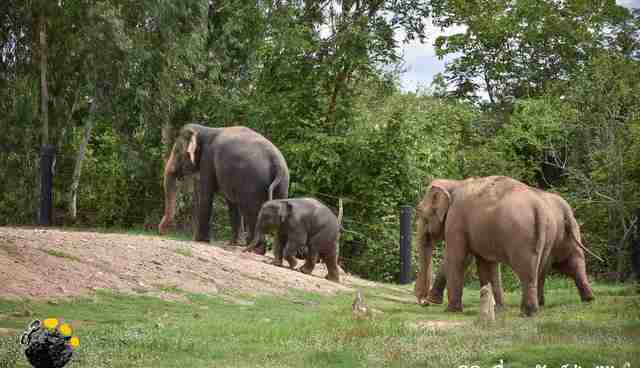 Click here to donate to the WFFT's elephant refuge. Click here to learn more about the elephant riding industry.